Cellcom, the country’s biggest mobile carrier, is in trouble due to a marketing campaign aimed at Hasidic and ultra-Orthodox Jews. practices of mobile phone providers. smaller mobile carrier with extensive ties to the haredi community. handful of websites approved by influential haredi rabbis. 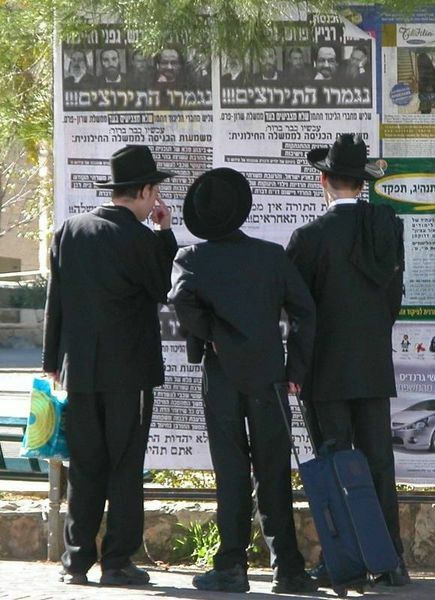 order against a Cellcom marketing campaign targeting haredi Jews. Cellcom to end their haredi marketing campaign. and compensation for any costs incurred by changing carriers. liberals, Arabs, and Jews of Eastern European descent. handsets and free minutes monthly for all family members. penetration through low-cost, no-frills plans. penalties due to the Communications Ministry’s ruling.